View our comprehensive range of gold and metal leaf as well as variety of gilding tools. We are happy to discuss your specific project with you and help you to choose the right product for your needs. We can arrange for you to pick up your supplies from our Surry Hills, Sydney Studio or we can discuss postage to your location. 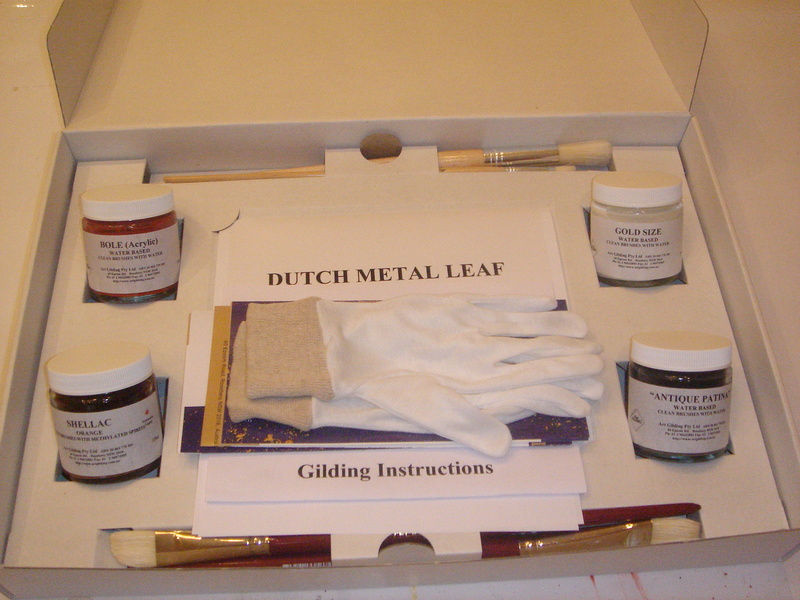 Just some of our range of gilding supplies – Call Brigitte on 02 9310 3007 to discuss what you need. For Art Supplies, visit our friends at The Sydney Art Store.